Though often overshadowed by its more heavily-produced brethren, the Toyota Land Cruiser is an iconic SUV in its own right. It represents the largest production model in the Toyota family, and does so with the kind of performance, interior versatility and high comfort that we’ve come to expect from models of its caliber. With 81.7 cubic feet of cargo volume inside, as well as seating for up to eight passengers, there’s no limit to the versatility that this model provides, inside a package that’s as comfortable as it is sleek. There’s a lot to cover regarding the 2019 Toyota Land Cruiser, and we don’t want to keep you waiting. Keep reading below to learn more about what this full-size legend can do! No expense has been spared to increase your serenity onboard the 2019 Land Cruiser, as it offers a heated, leather-wrapped steering wheel, heated and ventilated seating arrangements, and four-zone automatic climate control that can help you tailor your experience to your own specifications inside. Plus, with a panoramic sunroof, you’ll get an even better view of whatever nature (or civilization) you’re heading for! 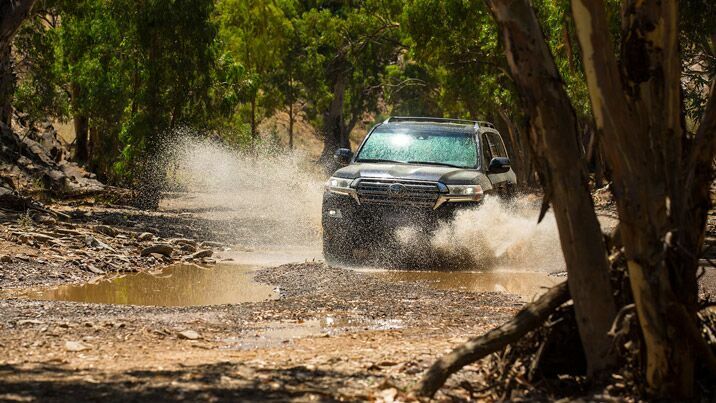 There’s a lot to go around with the 2019 Land Cruiser when it comes to your safety, connectivity and entertainment. 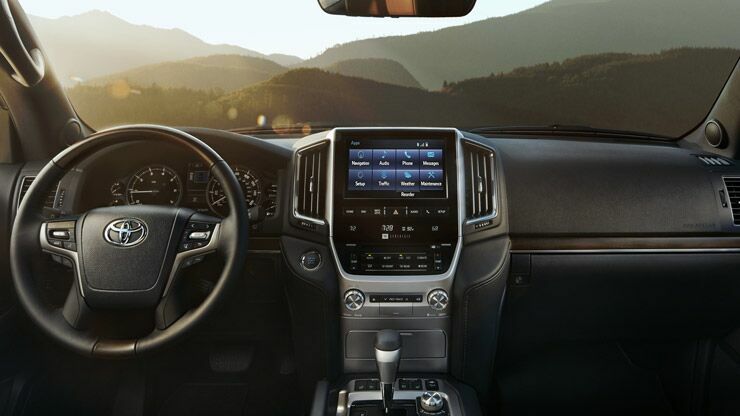 It offers an Entune™ infotainment system which can play music through a 14-speaker JBL® Synthesis audio system, and Integrated Navigation to help you weave your way through your area with ease. 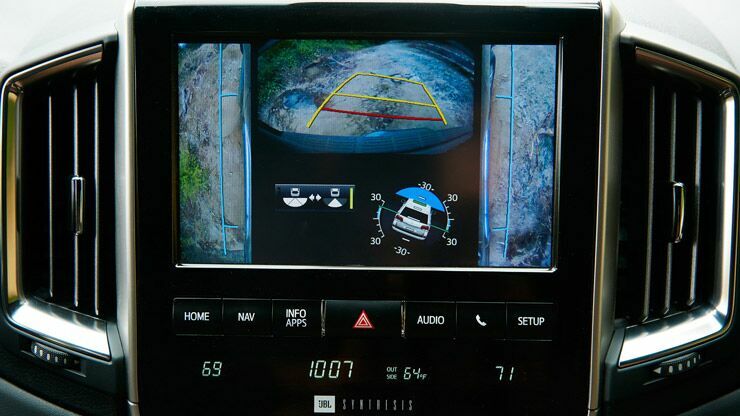 Along the way, you can trust Toyota Safety Sense™ and its class-leading safety innovations to keep you secure! 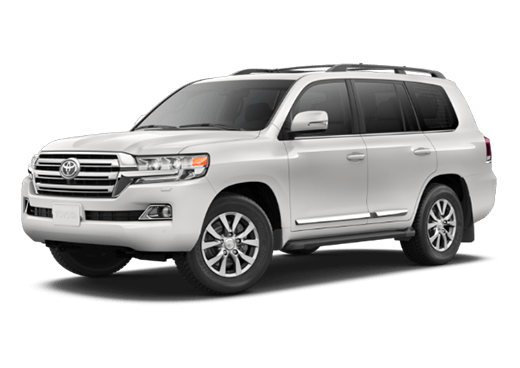 It goes without saying that the 2019 Toyota Land Cruiser is quite the confident SUV. This is warranted, as it features a 5.7-liter V8 engine that can offer up to 381 horsepower and 401 pound-feet of torque. Add this to a Kinetic Dynamic Suspension System, Crawl Control and Multi-terrain Select, and there’s no part of the planet that’s too much for this model to handle.